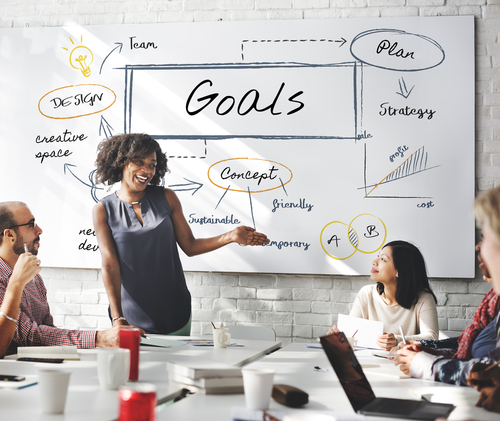 Have you set your project goals? Home / Blog / Have you set your project goals? Welcome to the first day of our 10 Day #CTProjectStartup Challenge. Over the next 10 days we will take you through our 10 key ‘signature’ steps to managing a successful project. The principles can be applied to starting a new business venture or community project and just about startup plan. So we are also adding a range of business tips and tricks too. What is the problem you’re trying to solve? Defining your business goal in terms of problems and solutions, is a great marketing tool. It will make it ten times easier to sell the benefits to prospective customers, stakeholders and investors. You don’t need to over-complicate things. Keep it simple and be SPECIFIC. If you can attach an amount – be it a financial gain, audience reach or number of customers – you are making it easier to measure your success. This is your point of reflection when it comes to evaluating your project. Start with the end in mind. Setting a benchmark helps with future projects. It’s great for credibility and if this is a pilot project, you can use the results to make a case for funding and investment. In short, your goal must be MEASURABLE. Of course you want to set a goal that you can achieve. Do your research to ensure that you are setting an ACHIEVABLE goal. Think about the risks that are attached to your project. When presenting your goals to others you may be asked the questions that start with ‘What if…‘ It’s important to take the time, at this stage, to consider the risks and impact of your project (or the pros and cons). A realistic goal will take into consideration the resources that are needed, such as manpower and budget. You’ll need to think about your project team, and all the things that need to be done to make this project idea a reality. Of course it will take time and money and you’re more than likely making a ‘guesstimate’ of what is required. It’s worth creating a skeleton plan of your time and tasks. You should focus on the major milestones rather than the small detail. Finally set a TARGET and give yourself a completion date. It sometimes helps to work backwards. You can set SMART objectives on the back of an envelope. It can be short and sweet, you’ll begin to add more flesh and substance in the coming steps. Please get in touch with us if you need any further help with your projects.